This season the new progressive running tooling of PUMA gets an update! the avid has a full knitted upper with flow mold details not only in the eyestay but also in the heel. In addition, it offers a unique lacing system. All this newness sits on a completely new futuristic, sculpted tooling featuring debossed lines and a confortable pu sockliner. As one of the leading sports brands in the world, for the last 65 years PUMA has made a name for itself by designing innovative sports products and athletic sneakers to the fastest athletes in the world. With it's high performance athletic sneakers, sports products, and renowned collaborations with Alexander McQueen and Mihara Yasuhiro, PUMA has become a coveted brand since it's early origins in Germany. Here you will find a huge selection of women's PUMA sneakers including the iconic and classic PUMA suede basketball sneaker, Roma sneakers, Disc, Sky II Hi, Trinomic Range & Dash, Clyde sneakers and women's PUMA ballet flats and sneaker wedges. 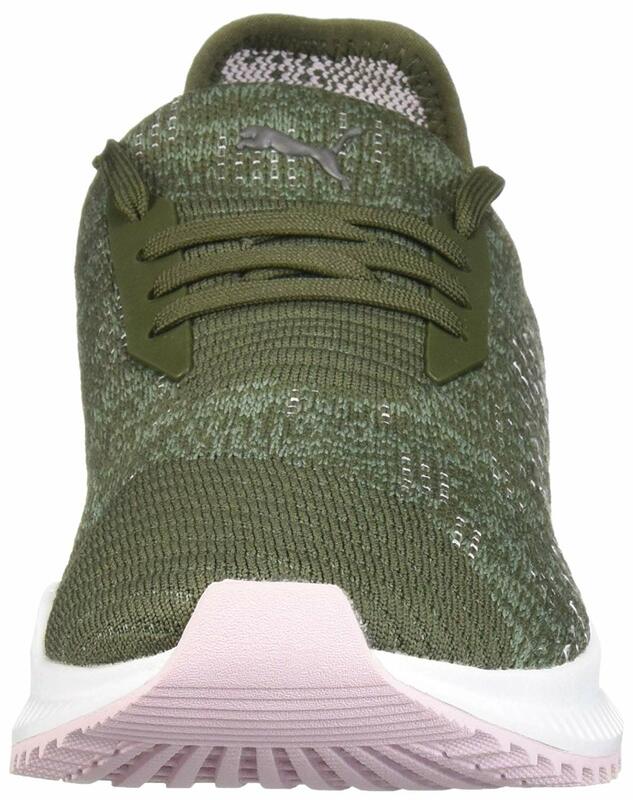 In our store you can shop a huge selection of women's PUMA sneakers in a full range of sizes, textures, colorsor by sports category such as PUMA cleats for soccer, training sneakers, PUMA running sneakers, golf shoes and PUMA sandals to wear after sports practice or big soccer and football games. / Buy with confidence! Puma Womens footwear would make a great addition to your shoe collection!